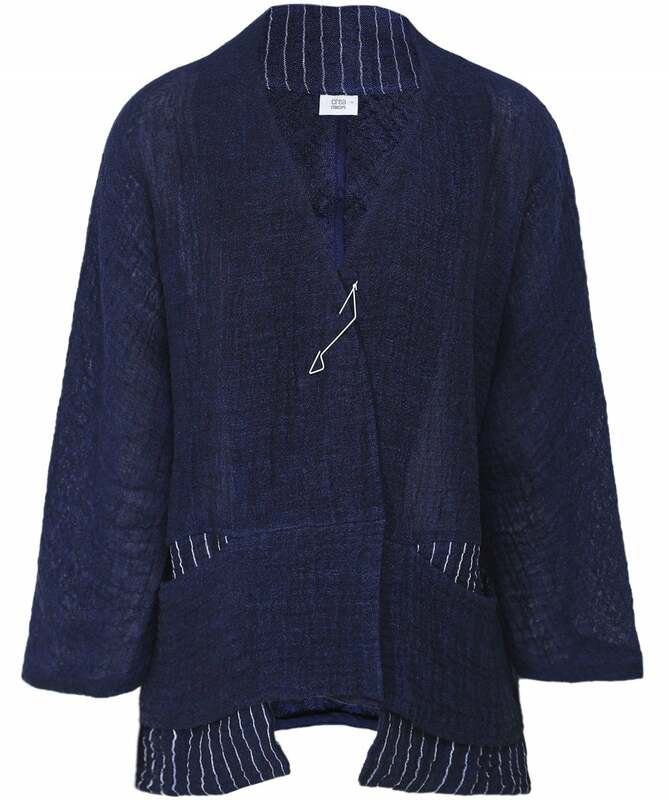 The Crea Concept pin fastened cardigan is crafted from a premium linen blend making it a perfect light layering option this season. Offering contemporary design with a white asymmetric pin fastening and pinstripe insert pockets, whilst the v-neck and dropped shoulders offer a laid back edge. Style your Crea cardigan with cropped linen trousers and trainers for a casual day look.